Write the common logarithmic term for the logarithmic term. Substitute the common logarithmic term into the original function. 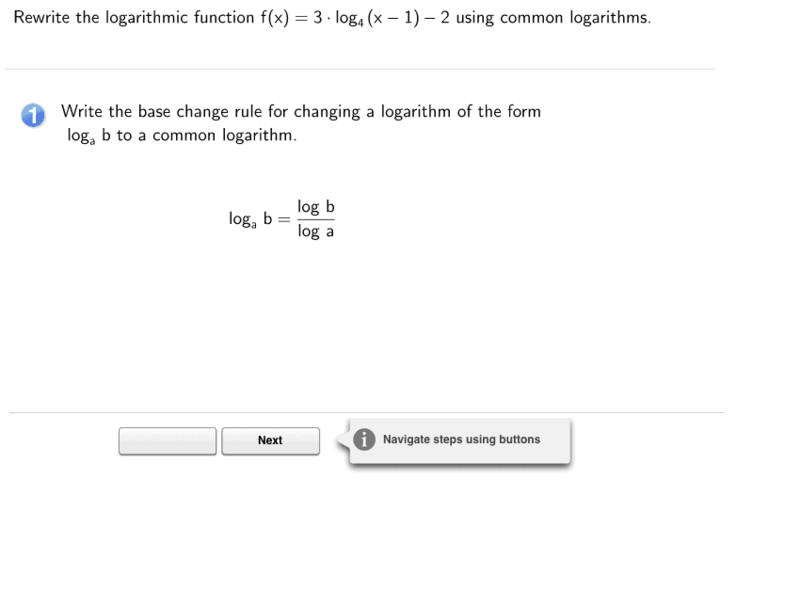 Replace any constant terms by evaluating the common logarithms. This applet is provided by Walch Education as supplemental material for the UCSS Secondary Math III program. Visit www.walch.com for more information on our resources.